Collector's Choice #10 Tom Scholz 1968 Les Paul, LP-Shaped Guitar from Gibson in the Custom Shop Les Paul series. 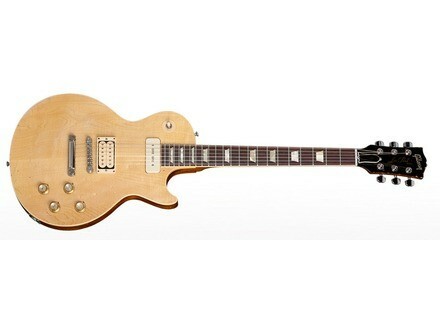 Gibson introduces the tenth guitar in the Collector's Choice series, which is a reissue of the Tom Scholz 1968 Les Paul. Gibson recreated Tom Scholz' 1968 modified Les Paul Goltop with Boston's guitar player himself. Only 300 guitars will be available worldwide. The price of the Collector's Choice #10 Tom Scholz 1968 Les Paul is announced by Gibson at the price of $9409. Discover the guitar at www.gibson.com. Dawner Prince Effects launches two pedals Eastern Europe countries are very active these days in the audio industry, see for instance Dawner Prince Effects with its first two guitar effects. Iceberg Amps launches its first guitar amp Iceberg Amps, a new Great Britain-based company, announces the availability of its first ultra compact tube guitar amp.